When away from Oroville Dam in northern California, I can resent its intrusive existence and its destruction of the Feather River. Yet when I visit and walk across the dam, I see the beauty that remains. 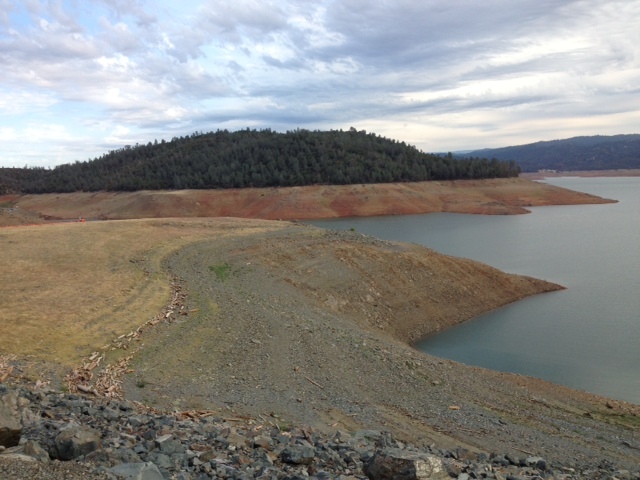 Currently, the reservoir is low on water, which exposes patterns that disappear when submerged. Weekly Photo Challenge / B4 Retouch: An Unusual POV (La Défense Couple) | What's (in) the picture?